Interface Solutions provides corporate advisory and finance services to the technology industry in Australia. Operating as a boutique advisory firm, our services include business strategy, public and private equity finance, debt finance, mergers and acquisitions, divestment, and joint ventures. For details of clients see here. Our strategy services are designed to support “step change” activity to substantially change the nature of business development. This may be through organic growth, mergers, acquisitions, joint ventures or through raising investment capital. Our services commence with stakeholder alignment, strategy formulation, and extend through option analysis to strategy execution. 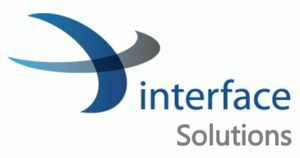 Interface Solutions provides business finance via investment bank KTM Capital (AFSL 247149) and Pre-IPO fund KTM Ventures (ILP1600034), where Interface Solutions director Charles Lindop maintains the position of principal. Debt finance services typically include modelling business scenarios for clients, and then working with identified sources of finance to put in place facilities to meet the business needs. Equity finance consists of many sources and structures but focuses towards the public markets, including pre-IPO, IPO and post-IPO finance. Sources include KTM’s own funds, and institutional, corporate and high net worth investors located predominately in Sydney, Melbourne, Hong Kong and Singapore. Interface Solutions works closely with its clients to ensure m&a activity is carefully aligned to business strategy. Interface Solutions frequently works through investment bank KTM Capital (AFSL 247149) where Interface Solutions director Charles Lindop maintains a position of principal. A range of buy and sell side acquisition services are provided including strategy development, information memorandum build, opportunity analysis and screening, short list evaluation, negotiation, due diligence and post-merger support. Clients are typically private technology firms on the sell side, and publicly listed technology firms (ASX and NASDAQ) on the buy side. Divestment services may consist of full or partial business sale, or business unit sale. Our goal is to ensure business value is maximised through the sale process, and that the process itself identifies all relevant buyers, presents a clear value proposition, boosts competitive tension, and manages all aspects of the sale through to successful completion. Interface Solutions provides a number of advisory services to assist with market entry including business strategy validation, market entry strategies, market validation, business team development (executive and non executive) and finance (debt, equity, grants and subsidies). Interface Solutions maintains strong links within the business and research communities in Australia and this has led to numerous engagements around innovation and commercialisation for corporations and universities, including research strategy development, commercialisation programs, IP market validation, spin-out formation and financing, licencing and joint venturing.